Mount Pleasant metal roofing contractors at Titan Roofing LLC provide metal roofing services to both residential and commercial property owners. We can help you repair or replace your older or damaged metal roof here in Mount Pleasant and will conduct a full assessment of your roof to best determine its needs. Call Titan today at 843-647-3183 to discuss your needs with us today. Property owners may be relieved to know that many types of damage or leaks to your metal roof can be repaired. Our certified roofers have over 25 years of experience in the industry and we will put our knowledge and skills to work for you to help you solve your metal roofing problems. 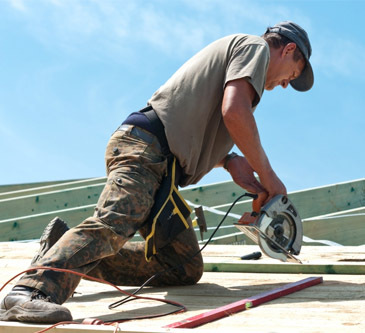 Remember, no roofing project is too big for us to take on and we are committed to providing you with the best roofing services here in Mount Pleasant. We will not be surpassed in timely completion of your roofing project; let us help you accomplish your roofing goals the right way, the first time. All roofs regardless of the material that they are made of will eventually have to be replaced. Whether you have significant damage to your roof, or your older roof is showing signs of soon-to-develop leaks, it may be a great time to replace your roof. Not only will a new roof help keep your investment safe, but it will enhance the curb appeal of your home or business too. What sets Titan Roofing apart from other metal roofing companies and roofing contractors is that all of our metal roofs are designed with mechanical fittings; we do not use sealants and rubber fittings when installing a metal roof. Once the metal roof is installed and water tight, there are no fittings to wear out. 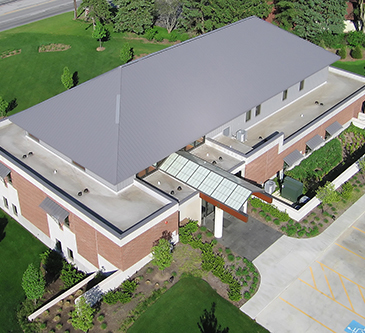 We can install panels with exposed fasteners, but we offer our own manufactured seamless standing seam panels, so it is not difficult for us to go above and beyond and give you an improved design of a seamless or standing seam system. With our metal roof panels, the bottom of the panel is locked to the perimeter metal to prevent wind uplift or lifting that would normally occur with systems that are face fastened. Call your local Mount Pleasant roofing contractors today at 843-647-3183. At Titan Roofing, we know a thing or two about professional metal roof repair or replacement services. Let us help you accomplish your metal roofing goals today; call our certified roofers at 843-647-3183.